MENS BOXER BRIEFS: simply the best padded underwear! Our huggable padded underwear are crafted in silky combed jersey cotton for natural breathability, with spandex for support and shape retention. The briefs are meticulously tailored with hidden pockets which accommodate the body shaping pads giving a healthy, youthful, natural and virile appearance. The 1-1/2" smooth durable elastic waistband, the exceptional quality and softness of the cotton-rich fabric, the double-stitching, along with the double material in the back as well as the front panel ensures pad stability and wearer comfort. The secret to BFU underwear lies in our exclusive design that allows the pads to be removed or inserted as you choose. Extra-soft cotton used in fine garments. When cotton is "combed", the shortest fibers of a batch are discarded. The result produces high-quality yams with excellent strength and softness. We use a premium combed cotton jersey, for ultimate comfort and breathability. The ultra-soft fabric holds its shape and resists pilling, staying silky soft and supple after repeated machine washings. A touch of spandex in the blend ensures shape retention and a sleek line under even the closest-fitting outfits. Our premium 11-oz jersey fabric is one of the finest, longest-wearing blends available in the marketplace. 95% combed cotton feels comfortable and provides the ‘breathability’ that only a natural fiber allows. 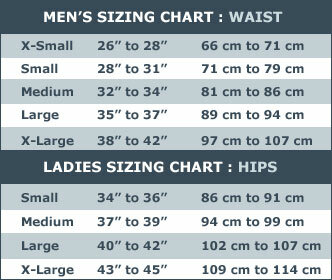 5% spandex ensures the underwear keeps its shape, fits smoothly and hugs your body perfectly. The inserts stay taut and close to you for a bright, buoyant silhouette. The secret to BFU underwear lies in our exclusive design that allows the pads to be removed or inserted as you choose, for a customized shape and ultimate comfort. But our designers didn’t stop there. They sourced the highest quality foam for the inserts, so you’ll feel comfortable and look great every time you wear BFU underwear. Supple yet long-lasting, the inserts can be removed before washing, so they won’t break down. Our care and attention to fit means that BFU inserts hug your buttocks completely, for a truly natural silhouette. Slim pads provide 5/8” (1.27cm) of comfort. Regular pads provide provide 7/8” (2.2 cm). You select the size that is right for you when ordering. Pads are 9” x 6” covering the buttock area completely and naturally, not just giving you a “bump” like other products.